Nine wonderful wines to drink for Christmas and New Year eve! Perhaps, you may wonder what a wine buyer like me drinks or would love to drink for Christmas and New Year eve. Well, I thought about it and decided to share with you the nine wines that first came to my mind amongst all the wines that we have in the store. Of course, these are my choices and this short list entirely reflects my palate. I could have chose dozens of other wines, but these were really the ones that I wanted the most for innumerable reasons. Surprisingly, for a Spanish wine lover, I didn't chose any Spanish wines. Oh well, I will catch up on some other occasions next year. I hope that this little selection will generate some inspiration for your own celebration dinners and parties. Happy holidays to you all! And thanks for your comments and faithful reading! Let's hope that next year I will find the time to write even more and about more interesting staff. Cheers! Sante! One of the most sought-after Champagne house in the US market and for the longest time very difficult to find, Billecart-Salmon is back with a revenge to take its rightful place at the top of the greatest Champagne. 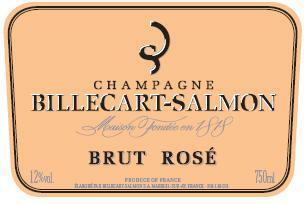 Flavorful, crisp, focus, delicate and harmonious, Billecart-Salmon Brut rose will please your taste buds in ways that few champagne brands do. 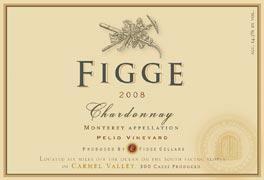 Figge Cellars is an artisanal boutique winery producing tiny amounts of Chardonnay, Pinot Noir and Syrah wines from various vineyards benefiting of the cool climate of Monterey, California.Their Chardonnay "Pelio" vineyard has a Meursault-esque profile, offering a well rounded, fresh, creamy palate with ripe white and yellow fruit flavors, nicely framed by toasted oak nuances. Better known for their reds, Vieux Donjon is a quintessential figure in the Chateauneuf du Pape decor, producing classic, earthy and full-flavored wines. Crafted with equal shares of Roussanne, Grenache Blanc and Clairette, it is rich, persistent and approachable with generous yellow fruits, lot of minerality and age potential. 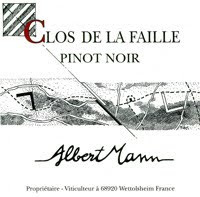 Albert Mann is one of the few inescapable winemakers of Alsace. Organically managed and "Ecocert" certified, and better known for his whites, (his Riesling Schlossberg Grand Cru is a standard of excellence), this domaine also produces a tiny amount of succulent Pinot Noir, which deserves more attention. The carefully hand-harvested grapes come from a "Clos" (single vineyard usually delimited by a small wall surrounding it) of 1 hectare, perfectly partitioned and remarkably situated right in a breach area of a fault. The Clos is enclaved between the mountains of the Vosges and the small dry plot of land covered with bushes of amelanchiers, more typical to the Mediterranean area, orchids Ophrys sphegodes, Orchis mascula, and other flowers and animals, characteristic to this protected area, classified as biotope. Aged in oak, this Pinot Noir shows a surprisingly deep ruby color. The nose boasts spicy red fruit flavors combined with earthy, toasted notes, and slight hints of coffee and tar. The palate is fairly rich and expressive, touch spicy, with generous texture and juicy fruit enhancing the lingering finish. Ancient kingdom squeezed between France, Switzerland and Piedmont, too often overlooked, Valley d'Aoste, located southeast of the Mont-Blanc mountain in the alpine hills of the northwestern part of Italy, offers bright, mineral wines made from indigenous grape varieties. Made with local Petite Rouge grapes, Torrette from GrosJean taste like a bowl of freshly crushed red cherries, refreshing with racy acidity and seductive minerality. Nestled in the hilltop village of Barbaresco, Produttori is the most ancient cooperative of Barbaresco, producing traditional, earthy style Nebbiolo based wines from some of the most respected Crus and single vineyards of the area. Their introductory Barbaresco is a balanced, concentrated, juicy and pleasing wine with refreshing acidity that carries the fruit through the finish and adds brightness to the lingering, earthy finish. 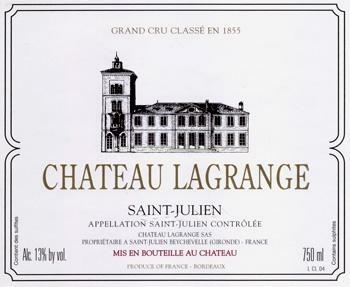 Although owned by the Suntory group, Chateau Lagrange kept its magnificence and traditional style, offering fresh red berries and cherry enhanced by great acidity and framed by present yet integrated tannins. Benefiting of exceptional conditions, 2005 is a vintage that marked the last decade for its complexity, structure and ripeness of fruit and Chateau Lagrange delivers all of these qualities in very charming and inviting ways. A wonderful new Italian Cantina, l'Arco is the result of a collaboration between the successful Brazilian entrepreneur Luiz Alberto Barichello and Luca Fedrigo, vineyard foreman and assistant for the renowned Giuessppe Quintarelli. Luca Fedrigo crafts Veneto wines that have similar density, texture and complexity as those from Quintarelli for much lesser prices. L'Arco "Pario" Rosso Veronese is a traditional Valpolicella blend of Corvina, Rondinella, Molinara and, in very small percentages, Croatina, made in a combined Ripasso-Amarone style and aged for approximately 3 years in large Slovenian oak. The result is superb, showing a dark ruby red color, beautifully layered inciting bouquet and rich mouth-feel with exuberant ripe dark fruits, figs, earthy, autumnal aromas and flavors. A refine companion for meat dishes and mellow cheeses, after about 2 hours in a decanter, it will be excellent with game and grilled meats. 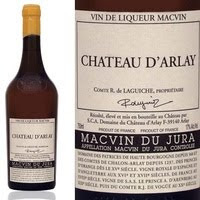 Located in the heart of the Jura vineyards, the medieval Chateau d'Arlay has been producing stellar, classic "Côtes du Jura" red and whites, and more traditionally Vin Jaune and Macvin du Jura for centuries. Some authors have even written that Arlay was one of the oldest Vineyard Castle of France. Their Macvin is a fantastic sweet fortified red wine, meaning that alcohol has been added to the must to stop the fermentation and retain residual sugar, but also slightly increasing the alcohol level. D'Arlay Macvin is a blend of 2/3 of fresh must 100% Pinot Noir with 1/3 marc-brandy (aged for 4 years in cask), then matured for 1 year in old barrels. The result is a fantastic, rich and unctuous sweet red wine layered with tons of aromas and flavors and slight oxidative notes, like most Jura wines. It pairs well with chocolate, wild red berries and nutty dessert like pear-almond tart. To be served at moderate temperature. more especially when it comes to dry wines. Is it a dry wine? It is not too fruity, I hope? Is it really fruity? I hope it is not too sweet? Is it sweet? These justifiable, yet somewhat annoying, and recurring questions come back way too often, in my opinions, in wine stores or restaurants and other eateries, and I think it is time to kill a myth! “Sweet” and especially “fruity” are two misleading and misused words in the wine vocabulary of the everyday average wine consumers, more especially when it comes to dry wines. Especially in the US market, where sugar is omnipresent everywhere in everything you can eat or drink. Surely they are not the only one, but the American's palate is usually quite inclined to sweeter things. More especially when it comes to wine, due to, unfortunately, lack of good wine education and lack of real interest from the average consumers up until the beginning of last decade. Although, I must say, it is way much better now and I will develop further by saying that: the average New Yorker, drinking wines from all around the world, is surely more knowledgeable than the average French, who generally get some pride in drinking wines locally made in his or her region of origin, i.e. : a "Bordelais" usually drinks Bordeaux and rarely Burgundy, or someone from the Loire will rarely taste Rhone wines, and Vice Versa...). The fault is also to be put on the fact that Americans have way too many occasions to encounter “White Zinfandel” and “Manischewitz” and other so called “flavored wines” and “jug wines”, which taste more like sugar products vaguely tasting like grape juice, rather than proper wines. When wine amateurs, connoisseurs and professionals talk about sweet wines (whether white, rosé, red or sparkling) they usually refer to dessert wines or fortified wines or muted wines or naturally sweet wines, which underwent certain types of fermentation and vinification to achieve desired styles of sweet wine. Some are very well-known like, just to name a few: Sauternes in Bordeaux, Monbazillac in Bergerac; Coteaux du Layon and Vouvray in the Loire; Muscat de Beaume de Venise in the Rhone; Banyuls, Muscat de Rivesalte and Maury in the Roussillon; Jurançon in the Southwest of France; Tokaji in Hungary; Port in Portugal; Sherry-Jerez in Spain; Muscato and Vin Santo in Italy; Muscat in Greece; and many more, etc.. Yet, it seems that every-time a consumer enter a wine store, (educated or not; or having minimum wine knowledge or not), if he or she asks if a wine is fruity or sweet, they often refer to sweetness in dry wines, thinking about sugar. Well it is a big misconception. 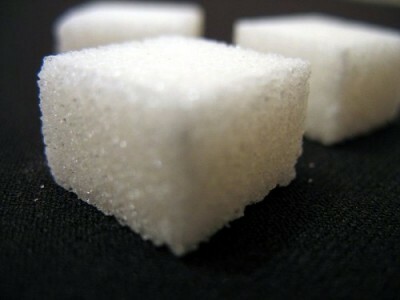 Sweet: usually means “with sugar”, yet in wine vocabulary it predominantly refers to ripeness. And ripeness mainly refers to the ripeness and opulence of the fruit aromas and flavors when you taste the wine. Ripeness often replace the word sweet, referencing about the natural sweetness of the wine because of the ripeness of the grapes at harvest time and the fruity sensation procured in the palate due to that ripeness, not because of the residual sugar in the wine once bottled. In fact, sweet is only used to characterize specifically certain wines, usually sweet wines for the reasons cited above. And "Fruity" is also a misconception of sweetness. Any dry still or sparkling wines can be fruity without referencing the sweetness. Fruity in wine vocabulary refers to the fruit sensation in the palate often paired with juiciness, not the amount of sweetness that your taste buds may have sensed while tasting. For example, Sauvignon based wines are usually very dry; some can be very lemony, grassy and green with high acidity yet they remain fruity. High elevation wines that are crisp, refreshing, rather light and full of minerals can also be very dry, lean and acidic yet they are fruity. Meaning that you can still feel the sensation of fruit in the palate, even if minimal compared to riper, fuller wines. By definition, except when desired for some, most wines are dry, because the fermentation process during the vinification is the action of the yeasts and other bacterias to transform the residual sugar of grape juice unto alcohol. Which means that sugar level during fermentation will diminish while alcohol level will increase, and hopefully in most cases, will stop naturally around the desired percentage of alcohol (11.5 to 14.5%+ depending of the wine, its area of origin, the rules of the appellation of origin and desired producer's style). Although, lately, with the rising of the temperatures and climate changes, certain wines have higher alcohol content. Also certain regions started to produce wines where it will not have been possible 20-30 years ago. It is partly due to the evolution of techniques, but mainly to the adaptability of the Vitis Vinifera and other species of Vitis which can sustain the most extreme conditions (Terroir, soil, climate and temperature variations, etc...). And last but not least, it is also due to the daring human ambitions to continuously experience everything everywhere and the constant demand from the market to explore new frontiers and new flavors. Therefore, unless obtained because of the producer’s desired style or the region’s ancestral traditions of sweet and/or fortified and/or muted and /or Naturally sweet wines (Sauternes, Tokaji, Ice Wine, Muscat, Porto, Banyuls, etc…); or even because a specific region’s climate, Terroir and appropriate grape varieties are commanding for a certain amount of natural residual sugar during and/or after fermentation; or because the appellation or area of production authorizes Chaptalization (which means the addition of sugar during fermentation to increase sugar content of the wine’s must to increase sweetness and alcohol level); or because, at last, the vintage was mediocre and a bit of sugar should enhance the fruit in the final product without altering it; most produced wines are dry, not "sweet" nor "fruity" (in the sense of sweet). I will repeat it one more time to kill the myth and "obliviate" (see Harry Potter) this recurring misconception: Unless due to all the above conditions, traditions, styles and other ancestral methods, most of the wines produce in the world are dry, NOT sweet. And fruity, in most scenarios, and more especially in the wine language and lexicon used by most wine amateurs and connoisseurs, Sommeliers, Wine Buyers and other wine professionals, “fruity” doesn’t mean sweet. Proof is when you bite a lemon or even better, a lime: it is juicy and fruity (because it is a fruit), yet it is sour (but still, fruity and definitely not sweet). Think about it next time your in a store. Whatever you may think and whether or not you agree with me after reading this post, my point does make sense: sweet and fruity are definitely two misleading and misused words in the wine vocabulary of the everyday average wine consumers, especially when it comes to dry wines (sweet refer to ripeness and fruity doesn't mean sweet). Amongst the 195 (or 194 depending if you include Taiwan or not) countries that are in the world, 70+ of them produce some wines that are predominantly still and sparkling dry wines, only few of them produce mainly sweet wines. These 70+ wine-producing countries are led by a pack of 20 countries that are the most productive and surely some of the most anciently established wine-producing countries. And most of them produce mainly dry wines, with a few sweet, except some countries of the eastern part of Europe, which do it more by traditions and appropriate climate and Terroir. But even that is changing. They are now producing more dry wines due to the demand of the world market. As I say earlier, all these 70(+) wine producing countries produce more dry wines all together than sweet wines. Therefore, to kill the myth of the misleading and misused words “sweet” and “fruity” in wine, and rectify the meaning of certain words that you may have heard some many times by your local wine specialist, without really or fully understanding what he or she meant; here is my little lexicon of wine vocabulary and the meaning of some of these metaphorical words that can somewhat sound quite obscure without an explanation. Sweet: usually means “with sugar”, yet in wine vocabulary it predominantly refers to ripeness. Ripeness: refers to the ripeness and opulence of the fruit aromas and flavors; it often replace the word sweet, referencing the natural sweetness of the wine because of the ripeness of the grapes at harvest time, not because of the residual sugar in the wine once bottled. Fruity: doesn’t mean that the wine is necessarily sweet, in the sense of sugary. It may evoke the sweetness of the fruit flavor in the wine because of its ripeness, opulence and juiciness; but once again doesn’t mean that the wine is necessarily sweet, it just refers to a certain fruitiness and/or ripeness with more fruit present in the palate than acidity or tannins, common indicator of dryness. Opulence: refers somewhat to the texture, but more precisely to the bold structure of a generous wine made from really ripe grapes or because the grape variety generate opulence (Zinfandel, Petite Syrah, Garnacha, Monastrell, etc…). Refreshing: usually refers to great or higher acidity, within lighter white or red or rosé wines, sensation of freshness or brightness in the palate. Acidity: puckering and sour if not properly focus and integrated with the fruit, it is still a very important element of the wine, which allows freshness, crispiness, brightness, vibrancy, delicateness, and focus of the wine, part important of the texture and the structure like the tannins. It allows for long age potential. Tannins: green if unripe, they can be sour, green, bitter, tight and too present. Yet if integrated to the fruit and combined with the acidity, they enhance the wine, consolidate its texture and frame is structure. It allows for long age potential. Disjointed: when all components, fruit, acid, tannins and other parts of the wine are not harmoniously intermingled together. To be continued…. (it is too late now, I have to go to bed but I will complete and develop it soon, promises). Step into the Green! Drink more Biodynamic, Biologique and Organic wines (and spirits and food) from sustainable culture and respect the environment! Support the right causes for the Planet and all the people suffering all around the globe! Also follow projects and products from the Fair Trade, an organized social movement and market-based approach that aims to help producers in developing countries obtain better trading conditions and promote sustainability. Also support 1% for the Planet, an alliance of businesses that donate at least 1% of their annual revenues to environmental organizations worldwide. "Commerce Equitable" or "Fair Trade" is evidently and more than ever a needed movement connecting producers and customers, to be aware of others and their cultural and traditional products based on high quality, natural components and craftsmanship. Last year around the same period, I wrote a post about great wines from the Valle d’Aosta, and a few days ago, I just tried another wine from this incredible region, a true “Alibaba’s cavern” full of wine gems. So, here we go again! Back in the “Vallée d’Aoste” (as we say in French)! This somewhat undiscovered micro-region that encompasses some of the most remote highest vineyards in Europe, is located at the far northwestern part of Italy, bordering France to the west, Switzerland to the north and Piedmont to the southeast. Valle d’Aosta is like a minuscule dot on the world map. Often overlooked and surprisingly insignificant for the novices and other unworthy of its magnificence and history, this ancient kingdom thrones in a beautiful reclusive valley surrounded by the Alpine foothills about 50 kilometers southeast of the Mont Blanc Mountain. The Vallée is a haven of peace and quiet where time seems to have stopped and the air seems to be pure, enhancing the untouched surrounding nature, barely tamed by human hands. Out of rather unknown indigenous grapes like Fumin, Petite Rouge, Petite Arvine, etc…Aosta’s winemakers produce fantastic whites and reds that are bright, refreshing, earthy, juicy and loaded with minerality. I love most wines from the Valle d’Aosta. They are as vibrant and limpid as a cold mountain spring, full of minerals, intense and delicate, characteristic, inviting and charming. Somewhat irresistible and delightful! When Blake from Madrose/Rosenthal, (one of my favorite wine importers in the US for their portfolio and the consistency and the focus of their wines), came to the store to introduce me to a few new wines, and more especially to GrosJean Torrette, I was really excited to verify if GrosJean Torrette was as great as their Gamay, which evidently, immediately I tasted it became one of the new benchmarks of the store. And it exceeded my expectation. Grosjean Frères winery is located on the border of the towns of Quart and Saint Christophe in the Valle d'Aosta. The vines planted initially, in addition to the traditional Petit Rouge, were Gamay, Pinot Noir and Petite Arvine. Later the native Fumin, Cornalin, Prëmetta and Vuillermin were also planted. Although the GrosJean family has for centuries made and kept wines (and nuts) for the long winter months in the mountains, the winery’s story really started in 1969, when the family members began to bottle their own wines for presentation at "The Exposition des vins du Val d'Aoste". This exhibition stimulated the initiative of increasing the vineyards, which brought the company from 3,000 square meters to the actual 7 hectares of vineyards, with the involvement of the 5 children, thus the name "Grosjean Frères" (meaning Grosjean "brothers" in French). Grosjean Frères is part of the Association of "Viticulteurs Encaveurs" Valdostan which brings together 24 small producers who were able to characterize the quality and typicality of their wines produced in the Valle d'Aosta DOC. This group of tenants has a close relationship with the land (Valle d'Aosta) and personally follows all stages of production, from vineyard to cellar to retail sale. The "Viticulteurs Encaveurs" devote great attention to two important factors, farming techniques and traditional vinification (usually handed down from father to son), which are then both compared to new ideas and technologies, always with a view to use friendly and natural agriculture. And the villages of Nus and Chambave (making interesting reds). “Torrette” produces a soft, delicate, harmonious red wine, with juicy red and dark fruit characteristics. It is the most produced wine in the Aosta region; and the zone of production is the biggest compared to all other Valle d’Aosta D.O.C. (Denomination of Controlled Origin). Torrette wines are predominantly crafted with Petite Rouge (80% minimum for most, up to 100% for some), complemented by Vien de Nus, Doucet, Fumin and/or Mayolet. Carefully hand-harvested and destemmed, the grapes’ vinification usually occurred in stainless tanks, but can be partially done in wooden barrels, depending of the desired style and the producer. This Torette is a blend 80% Petite Rouge and 20% Vien de Nus, Doucet, Fumin and Mayolet grapes from high altitude vineyards, about 550 to 650 m altitude, planted on steep slopes (30-60%) of loose soil of moraine with ideal south and south-west exposure. The wine was crafted in stainless steel tanks where it underwent a short maceration of 4-5 days, which explain the light color, and was then fermented. After fermentation, the wine rested for at least 3-6 months in stainless steel tanks to keep the freshness before bottling. The resulting wine, 2008 GrosJean Frères Torrette Red, is beautiful and highly recommended. What a wine! Light to medium ruby color in the glass with medium to good intensity. The nose is fresh, mineral, with lovely yet discreet red-dark berries aromas. The palate is soft, gentle, well balanced, juicy, structured and focus, and highly versatile to suit any kind of dishes. Their Gamay was brighter with more acidity and lighter fruit, this Torrette is somewhat fuller and rounder, yet with great acidity, textured and length. Excellent! Like Lagrein in Südtirol; Grignolino in Piedmont; Gamay in Loire and Burgundy and Valle d’Aosta; Dornfelder and Spätburgunder in Germany; or even Blaufrankisch, Saint Laurent, and Zweigelt in Austria; Petite Rouge and all the above grapes varieties, produce extremely friendly, somewhat light to medium, very versatile, fruity, fresh red wines that are delightfully easy to drink for any occasion. Ask your local wine store for more info (and me of course, by email or if you pass by Heights Chateau at 123 Atlantic ave, Brooklyn, NY 11201). I need to admit that we buy so many wines, when buying time season reaches its peak between October and November, that sometimes I forgot about certain wines we bought just a few weeks ago. It was the case for the following wine. We bought it earlier during the season but I totally forgot about it and only rediscover it about a week ago, when we decided to open a bottle in the store for our customers but also to refresh our memories. What a blast! This wine is great! Therefore, as always in my humble quest to make you discover lesser known regions, wineries, producers and wines from around the world, I decided to get a closer look behind the label and share my experience of this little gem. Castello di Neive, meaning “Castle of Neive”, is a magnificent 18th century castle located at the heart of the eponymous village, about 4.3 kilometers in the gently rolling hills west of Barbaresco. This hilly region represents the northwestern part of Langhe, bordering the southern part of Roero. The village of Neive is part of Barbaresco DOCG, which is covering a radius of about 12-15 kilometers northwest and west of the town of Alba. The communes of Barbaresco, Neive and Treiso form the three angles of the renowned triangle of lands, rolling hills and vineyards, which encompass Barbaresco DOCG. Owned by the Stupino brothers and sisters, Castello di Neive remains one of the most traditional producers of Barbaresco and Piedmontese in general, producing earthy, complex and characteristic wines with very approachable profile, reflecting the commitment, ambition and passion of the family in all of their wines, one generation after another. Anna, Giulio, Italo and Piera Stupino were all born in Neive, and so were their parents, grandparents and great-grandparents. The history of the winery began when their father, Giacomo, started to capitalize on both his experience as a surveyor and on his knowledge of the area, and to purchase, whenever possible, vineyards and land in extremely favorable locations. Nowadays, the150 acres (about 60 hectares) of Castello di Neive estate, which also include vineyards in Santo Stefano and Marcorino, are scattered all around the town of Neive, in the Langhe area of the Piedmont region. Sixty-two acres (25 hectares) of the property are devoted to grape growing and all the production, which amounts to an average of 12.000 cases a year, is obtained from Castello di Neive’s own vineyards. Back in the 60s, in the small cellars of their home, Giacomo and his family began the first production of wine for domestic consumption and to sell in bulk. Giacomo slowly acquired a number of vineyards like Messoirano, Montebertotto, Basarin, Valtorta and Cortini. The estate grew and with it also the production and the ambitions of the family. In 1964, they purchased the Castle of Neive with its spacious cellars, as well as more farmsteads in Santo Stephano and Marcorino, plus more land from the castle’s previous owner, Count Guido Riccardi Candiani. The history of the Castle bring us back to the beginning of the 18th century, when the Count of Castelborgo, Manfredo Bongioanni, decided to build the new castle over foundations dating back to the 16th-17th century. The imposing structure is situated in what, in medieval times, had been Neive’s south-western border; also a defensive wall completed with sentry boxes still links the castle and its gardens to the Southern Gate of the town. However, (back to the family history), purchasing the Castle in the mid-60s was a turning point, which urged the Stupino family to renovate the castle’s cellars, to reorganize the vineyards neglected by the previous owners and to produce wine according to modern methods. When Giacomo died, in 1970, Giulio and Italo oversaw the transition from tenant farming to direct management of the land, with the precious help of Talin Brunettini, a skillful cellar man with knowledge in agronomic techniques. It is at this time that Castello di Neive began to bottle its wines and to introduce them to the rest of Italy and abroad. In 1978, came another rewarding step: thanks to the collaboration between Italo and some experts from the University of Turin – professors Italo Eynard and Annibale Gandini – Castello di Neive started a clonal selection programme of Arneis, a white grape long forgotten and abandoned because of its scarce productivity and lack of knowledge in white wine vinification. Arneis wine owes its rediscovery to this joint effort by the company and the University. In the past few years, Italo has devoted himself fully to the direct management of the company, under the name “Castello di Neive Azienda Agricola”: a devotion which seems to follow a ‘premonition’ contained in an old photograph depicting Mentor, Italo’s grandfather, presenting a grapevine to his young nephew. The castle’s cellars – where wine is still produced and bottled – were purposefully designed to serve the same function they do nowadays. They have very high ceilings to allow the use of large oak vats, usually Slavonian oak. In these cellars, during the 19th century, the French oenologist and wine trader Oudart was operating as a consultant of the Count of Castelborgo. He was the first one in the area to obtain a dry, stable and therefore easily exportable wine from Nebbiolo grapes: he called it ‘Neive’ and in 1857 this wine won a gold medal in London. 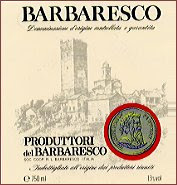 About thirty years later, Castello di Neive’s first Barbaresco was produced using the same techniques employed by Oudart. Nowadays, Italo Stupino is taking care of the winemaking, helped by the university of Turin and his daughter Carolina. Due to his training as an engineer and to his previous activity in other fields too, Italo developed a scientific approach to the vineyard and to the countryside. Preserving tradition is one thing, but one can never take anything for granted and always must strive for better results. Questioning, researching, trying and learning: since the 1970’s the collaboration with the University of Turin has allowed Italo to enter the world of wine with a frame of mind which, still nowadays, enables him to face the challenges of a continuously evolving market. Tradition, research and creativity: this is the philosophy of a company which, without overlooking the heritage of centuries of winemaking, embraces new technologies, is active in the field of research – both in the vineyard and in the cellars – and is ready to take risks and to experiment. Castello di Neive produces mainly red wines from principally 9 different characteristic vineyards and crafts about 15-17 different wines, depending on the year, with classic Piedmont labels such as Arneis, Barbera d’Alba, Dolcetto d’Alba, Langhe, Moscato d’asti Vino Spumante, Passito, a Pinot Nero and of course Barbaresco from their Santo Stefano vineyard. 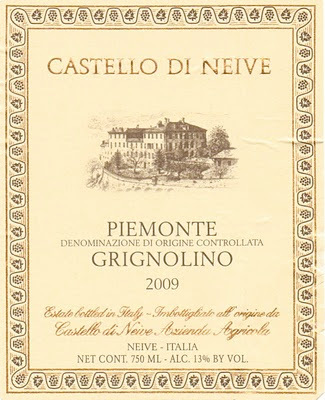 But before I forgot, they also produce this great little wine that triggered the post of today: “Piedmonte Grignolino”. I know what you’re thinking: what is Grignolino? Well like you, I wasn’t necessary very acquainted with this grape variety until today. I may have read about it in my numerous wine books. However, it is quite strange that I never drank a wine made from it before because, as you may know by now, I love earthy, crispy wines with bright features, enhancing acidity and fresh fruit with a lot of minerality and good tannic structure, I drink a lot of Piedmont wines. They happen to be amongst some of my favorite red wines with Bordeaux (where I come from), but also and more especially Loire valley, Burgundy, Southwestern France, Jura, Savoie, a lot of Languedoc earthier style, Rioja, Priorat, Monsant, Terra Alta, Ribera del Duero, Tuscany, Campania and quite a few more (I love wines, what can I do about it…). Never mind, so what is Grignolino? Grignolino is a red Italian wine grape variety commonly grown in the Piedmont region. It produces light colored red wines and rosés with very fruity aromas, strong acidity and tannins. The name Grignolino derives from the word “grignole” which means "many pips" in the local Piedmontese dialect of the Asti region. The abundance of pips, or seeds, contributes to the obvious, slightly green bitter tannins associated with the wine. Modern winemakers try to avoid the excess tannins with gentle and slow pressings, to avoid crushing the pips, which also release the green bitterness from the seeds. Grignolino wines are more commonly produces in two “Denominazione di Origine Controllata (DOCs): Asti and Monferrato Casale, yet the wine of today is just a generic Piedmont Grignolino DOC. Hand-harvest usually occurs in mid-September. Grapes are carefully selected and sorted, than carried in small plastic boxes to avoid crushing under pressure. The vinification is traditional with automatic pump over. Fermentation last about 8-10 days. Maceration usually occurs for 5 days in large oak barrels. Followed by a 3 months resting period in stainless steel tanks. Once bottled, this young, fresh, aromatic wine is kept in the Castle's cellar for an additional 3 months before release. 2009 Castello di Neive Azienda Agricola Piedmonte DOC surely benefited of the warm ripening season of this particular vintage and, although rather light yet fairly ripe, the resulting wine is fresh, really inviting and charming. It is already pretty startling by its color, presenting a very light rosé-esque, cherry color. The nose shows a lot of bright red cherry aromas with earthy and mineral hints. The delightful palate is super light bodied wine with fresh tart red cherry and raspberry flavors intermingled with enhancing acidity and a mouthful of minerality. This bold acidity and cloak of ultra smooth, integrated tannins make it quite unique and vibrant. If you’ve never tried a Grignolino wine, this one is a fine example of what this fresh, light and tart, rather undiscovered (in the US market) red grape has to offer. Very versatile and ultra approachable and immediately commanding for another glass, it will pair well with pretty much anything from charcuterie, pizzas and red-sauce pastas, to light appetizers or just as an aperitif after a long day at work or else where. Highly recommended for any occasion. Try it! You’ll tell me, but I think this was a great discovery, somewhat in between a Beaujolais and a very light Burgundy, yet with the Piedmontese traditional touch. In April 2005, Laurenz Maria Moser V., descendant of the famous Austrian Lenz Moser wine family, dedicated himself wholly to Grüner Veltliner with the support of two partners. Five years later, five fine examples of Gruner Veltliner wines are made each year, under the names of: Sunny, Singing, Friendly, Silver Bullet & Charming. Laurenz Maria's partner, Franz Schweiger, a trained accountant and economics expert, is responsible for the financial end of things; while Dieter Hübler takes care of marketing and distribution and Laurenz Maria concentrates on vineyard and vinification. The enthusiasm for Gruner Veltliner combined with the family’s numerous decades of winemaking knowledge and experience, resulted in a new, more approachable style of Grüner Veltliner: subtle spice, elegant acidity, vibrant and playful on the palate and flattering on the finish. In other words, LAURENZ V. did not create a Veltliner of extremes, but of elegance and charm. Laurenz Maria Moser V. inherited his knowledge from his grandfather, the legendary Professor Dr. Lorenz Moser III., who invented and developed the ubiquitous Austrian trellising system called the "Lenz Moser Hocherziehung", which revolutionized vineyard cultivation right across Europe. His advice to his grandson was: "Concentrate on the important tasks in life and do them well. The art of good Grüner Veltliner is to cultivate perfect grapes and simply not ruin them in the cellar!" Austria represents less than 1% of the world's wine production. Therefore, gaining recognition as a wine country means that a few points must be emphasized. Grüner Veltliner makes up a third of Austria's entire wine production and represents the best ambassador of Austrian wines. It is recognized one of the best friendly, bright, crisp and mineral white wines in the world. Grüner Veltliner is Austria's showpiece grape. It yields concentrated, harmonious wines rich in finesse and with a long life potential. Veltliner wines are reliable in their development. They bring pure enjoyment in their youth, and guarantee utmost drinking pleasure in maturity. The grapes for Laurenz’s Gruners are sourced from trusted growers in Kamptal, Kremstal and the Weinviertel. What young girl does not dream of working on a terrific project together with her father? But only a few girls are so lucky - or even have the right kind of father - for this to happen. For Sophie Moser, however, this dream came true. When Laurenz Maria Moser recently brought to the market his "Charming Grüner Veltliner" under the Laurenz V. label (read Laurenz “Five”), his daugther, Sophie, realized that he is alluding to five generations of the Moser wine dynasty. She then proposed to introduce the 6th generation as well. 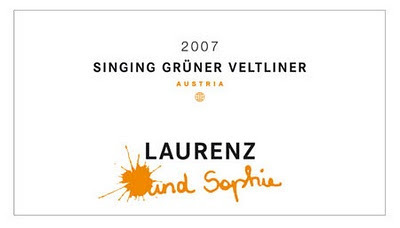 Her father happily agreed and “Laurenz und Sophie – Singing – Grüner Veltliner” was born. The grapes for the Singing Grüner Veltliner are grown mainly in loess and gravel soils of the Kremstal region. By adding some Veltliner grapes from the Weinviertel region the wine takes on the typical spiciness and a touch of white pepper. The wine was vinified in stainless steel tank to preserve all its freshness and juiciness. This wine is a new and refreshing concept of Gruner Veltliner that was primarily created for the fine wine trade. The eye catching label already expresses what the consumer will find in the bottle - a wine that sings on the palate and easy going on your taste buds! This lively and vibrant white boasts floral aromas and flavors of white core fruit and citrus mingled with enhancing minerality, refreshing acidity in a balanced, harmonious and very food friendly, versatile palate. There are still good bargains to be found in Bordeaux for who wants to search for them. Of course you can always rely on the big names or their second wines, but they rarely come under $25, which, in this economy, can appear a bit expensive. With most people spending $15 and under, above $20 don’t sell as well as only a few years ago. Therefore, the segment of $15 to $20 as become the new place of choice for special occasions and out of the everyday drinking wines pattern. I first tasted the following wine about 7-8 years ago, during the “En Primeur” campaign, while visiting the Perrin family at Château Carbonnieux and tasting the new vintage at the barrel. At the time, part of the buying team of PJwine.com, it wasn’t my first time at Château Carbonnieux and as usual, late Anthony Perrin, who passed away at the age of 68 years old in September 2008, received us with welcoming friendly manners and a smiley face, living up to his legendary bonhomie. We tasted Carbonnieux Blanc and Rouge at the barrel as well as previous vintages. Always a great experience and surely one of the best Pessac-Léognan in my opinion! In the mean time, Eric Perrin, brother of Philibert and son of late Anthony Perrin, introduced us to the wines from his property: Château Haut-Vigneau. I need to admit that I was taken aback by the quality of his wines and the demanded prices. Since then, I bought most of the last vintages and continue to be impressed by the consistency of his wines. I just bought the 2008 vintage and I’m really please by it. Especially that it is a fine example amongst these great Bordeaux that you can still find under $20 and remain pretty consistent pricewise year after year, not oscillating to high extreme in good years like so many other Bordeaux. Situated near the commune of Martillac, about 5.5 kilometers northeast of Léognan and 10.5 kilometers south of the center of Bordeaux driving on the route de Toulouse, this property was originally part of the estate belonging to Baron de Montesquieu. In 1765, Belleyme, the royal geographer, published a map on which the site “Vigneau de haut” appears to be a plant of land clearly planted with vines. Starting in the mid-20th century, the Perrin family, leaded by Marc Perrin the father of Anthony, slowly acquired a few properties in the Pessac-Léognan area, including Château Carbonnieux, Château Haut-Vigneau, Château Lafont Menaut and Château Le Sartre (since 2004 or 5, owned and managed by late Anthony Perrin's sister, Marie-José Leriche with the help of her husband René and their manager and winemaker David Château). Nowadays, Eric and Philibert Perrin continue with assiduity the work of their late father at Château Carbonnieux, which belongs to their mother. Yet, they respectively inherited their own Château: "Lafont Menaut" belongs to Philibert and "Haut-Vigneau" to Eric, were both also spend a good amount of time, out of their responsibility regarding Carbonnieux. In the early1980s, Eric took over the management of Château Haut-Vigneau and began the long-term work of clearing the land and replanting the vineyard from scratch. The property was in really bad shape, but Eric focused the last 10-15 years renovating it completely and reestablished its vineyard. With its remarkable situation, its Terroir of choice, and after somewhat recent, careful work in both vineyard and vat room, Château Haut-Vigneau can now compete easily with more reputed wines. The property’s 20 hectares produce only one red wine typical of its Pessac-Léognan appellation: earthy and juicy and expressing Terroir oriented flavors with tobacco leaf and smoky hints. The resulting wine usually offers very pleasing aromas of black fruit (blackberries, black currant) and subtle roasted notes (grilled and smoky). With oenological advice from Christophe Olivier, who works closely with Prof. Denis Dubourdieu, Eric Perrin strives to produce a truly classic great wine, expressing both the power and the finesse of its fruit. Similar to Château Carbonnieux, vinification and winemaking at Haut-Vigneau are based on great respect for the grapes, the vines, the environment and the specific Terroir composed of deep “Garonnaise” gravel (a mixed of dirt and multiple small round pebbles and sea shells anciently rolled over and deposited by the "Garonne" river atop a calcareous subsoil), together with careful and traditional long oak aging in 20% new barrels. The vines are cultivated according to environmental friendly growing practice, in respect for the plants and their surroundings, and consequently the soil. A blend of hand harvested and carefully sorted grapes, 60% Cabernet Sauvignon and 40% Merlot, from south exposed and gently sloped vineyards planted on a naturally drained gravelly-calcareous soil, this wine was fermented and vinified in stainless steel vats for about 20 days, before ageing process occurred in oak barrels (20% new) for 15 to 18 months. 120,000 bottles were produced and mostly sold to the export market with major distribution in USA, Great Britain, Germany and Japan. 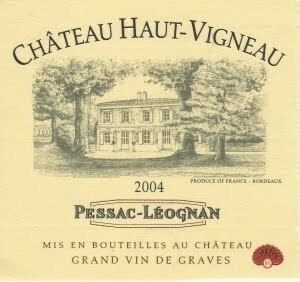 2008 Château Haut-Vigneau Pessac-Léognan shows a medium to deep lovely dark ruby color. The nose is clean, earthy and warm with ripe dark berry, black currants and blackberry aromas intermingled with liquorice, spice and slightly toasted oak notes. The palate offers interesting structure and texture with the same type of black fruits and grilled oaky flavors, enhanced by integrated acidity and framed by smooth, yet touch green, distinct tannins. Some may recognize the earthy, tobacco leaf, smoky character of this wine, which is typical to great Terroir driven Pessac-Léognan. Some may see that as a default or may not find that very attractive, yet the juiciness of this wine tremendously compensate for it. And if you're still not convinced, as a food friendly wine, try to smooth it down with an aeration of about an hour in a decanter, then taste it over an earthy dish like “grilled Magret de Canard served with Ceps and Pleurottes sautéed with garlic and parsley”. ... However, it is definitely in memory of his late father, who was the inspiration for all the hard work invested by Eric Perrin to revamp his property, continue the family tradition of excellent winemaking and attention to details with the gentle bonhomie inherent to the Perrin’s family and produce top quality Pessac-Léognan wines. I liked it a lot and I hope you will too! I just realized that I haven’t written anything for the past few weeks and I missed it tremendously. However, I like to spend time with my family rather than being always on my computer; but also I was busy at the store, then went away for a week to come back just in time to start the much anticipated last 6-7 weeks of the year. This last Friday was the gun-shot-signal for all retailers ready in their starting block to race and give their maximum to provide their customers with the best products, the best prices and the best services. By doing so, they maximize the effect of the holiday season to have an astonishing end of the year before checking and comparing revenues, profits and bonuses numbers in January. OND (October-November-December) usually correspond to about 35-50% of the annual numbers for most retailers, more especially wine & spirits, cloths and toys stores. Normally, about 2 weeks before Halloween always corresponded to the beginning of the last stretch, with daily sales and numbers going crescendo up until the last rush of Christmas and New Year’s Eve. … It seems that people and consumers are more and more cautious about how they spend their money and prioritize on more essential products rather than indulge themselves with unnecessary items. Thus, it is understandable that for the past 2-3 years, the booming sales that usually happened for Halloween about 1-2 weeks before October 31st, have slowly shifted and been replaced by short and scarce momentum just before Thanksgiving, usually celebrated on the fourth Thursday in November; basically reducing and compacting the 10-11 weeks of the best retail business sales of the year into 6-7 weeks. Nowadays, people in general have difficulty to foresee their immediate future and therefore pay more attention to their spending habits. Under $15, or should I even say under $12 has become the norm for wine buying. And $30 has become the new standard ceiling for special occasions, $35-$40 max for Champagne. Of course and fortunately, a small minority of customers will always be able to spend more and indulge themselves, but for the majority, their everyday reality is that it has become very difficult to exceed $15-$20 per bottle, making $25-$30 a premium. Anything above consequently has reach luxury status. Consumers want very good wines for cheaper prices and have subsequently been targeting lesser expensive everyday wines over the last 2-3 years, $12 and under is the norm as I was saying earlier. The market has changed and retailers need to adapt, rethink their strategy and like anyone else work 3 times more to obtain more less the same results and numbers. That said, we could conclude that the New York market is not anymore what it used to be even 3-4 years ago. The market is over-flooded with wines (some very good but a lot of very bad ones too) from all around the world with more importers and distributors (and even retailers) than ever before. Yet most distributors seem to have similar portfolios and offer the same types of wine. Thinking that it was so lucrative before, investors have bet on wine stores and the SLA (State Liquor Authority) have given more license over the last few years than ever before (could it be a question of Tax revenues because the law authorizing supermarkets to sell alcohol - wine & spirits - wasn't voted?). However, there are more and more wine & spirits retail stores in New York offering unfortunately less diversity, with even more competition on the Internet, and yet people spend less and less often than they used to only a few years ago. Customers are fewer, sales decrease and average spending is in decline too. Moreover, by contrast, emerging countries pushing the demand, soaring prices on certain brands and appellations have discouraged customers and penalized the image of certain regions, and weaken smaller producers. Only retailers that will emphasize their customers’ relationship, by enhancing their customer services, buying lesser known producers crafting excellent wines for reasonable prices and keeping their prices at reasonable mark up, will be able to continue to provide and prevail. More especially nowadays as anyone can check, compare and buy at cheaper price rates all over the Internet. Free delivery and better discounts will also be success factors. With this bad economy, no need to be greedy, better have more understanding, compliance and customer-oriented attitude. And that is how I always try to conduct myself in the store with my personal attitude but also with the wines that I buy through out the year. I have always had an excellent nose and palate to unearth great gems under $15. First, because these wines are the ones most of my customers are looking for, and second, these are also the ones that I drink at home. Thirdly, because the market for wines above $30 (and even more for above $75-$100+) has dramatically declined over the last two years and rare are the few remaining customers that are willing to spend this kind of money in a bottle of wine. 2001 World Trade Center crumbled down and the economy with it, people are terrorized. 2002 People are still shaken and NYC is still somewhat paralyzed but recovering slowly. New Yorkers spend about $15-$20 for everyday wines, $35-$40+ for special occasions. 2003 The economy is somewhat restarting and Ground Zero creates a tourist Boom. New Yorkers spend about $18-$25 for everyday wines, $40+ for special occasions. 2004 Things seem to be back more-less to normal and spending is back too, yet with some over-spending-buying-expectations from people and businesses too. New Yorkers spend about $18-$30 for everyday wines, $40+ for special occasions. 2005 Business is somewhat booming once again, yet something is in the air, hurricane "Katrina" and other disasters occurred and it seems that over-expectations are confirmed, plunging people into stressful situations and debts. New Yorkers spend about $18-$25 for everyday wines, $40+ for special occasions. 2006 The loan-company-insurance-contractor-developer system collapsed due to over-expectations and other factors, generating lack of business, closing businesses and unfinished and unpaid contracts, consequently job losses, home foreclosure, and so on... yet New York is still standing and seems to be less touched than the rest of the country, and business is somewhat OK, definitely better than other states. New Yorkers spend about $15-$20 for everyday wines, $35-$40 for special occasions. 2007 The rest of the country collapse, New York is touched but still not so much compared to the rest of the country and people continue to spend, although more carefully but still quite a bit. New Yorkers spend about $15-$20 for everyday wines, $35-$40 for special occasions. 2008 Consequently, two years after the collapse of 2006 and already gently declining since 2001, the financial market crashes and New Yorker who thought they couldn't be touched, started to really feel the impact of the bad economy, therefore spending less and being more cautious. Amongst other things, wine sales decreased yet spirits sales slightly increased in some ways. People are scared but yet feel that optimistic-energy-filled New York will resist and overcome the crisis, also due to the high amount per square meter of 6 figures+ salary New Yorkers, who are quintessential to the constant growth of the city. New Yorkers spend about $12-$18 for everyday wines, $30-$35 for special occasions. 2009 The market is really bad for the rest of the US; lot of people are getting laid out, lose their job and their home... Bank, insurance and credit companies are in difficult positions. People have difficulty to find the light at the end of the tunnel and solutions to their situations. It is now a fact: wine sales are decreasing dramatically. People buy at the last minute and are more cautious. Yet they are more wine & spirits retailers and distributors with more items than ever for fewer consumers that spend less and less often. New Yorkers spend about less than $12-$15 for everyday wines, $18-$25 for better nights and $30 for special occasions. 2010 Thinking that they were protected against all odds, New Yorkers now really feel the consequences of 2006 collapses and 2008 financial crashes. It is very difficult for a major part of New Yorkers and spending only happens when necessary and at last minute. New Yorkers spend about less than $12 for everyday wines, $15-$20 for better nights and $30 for really special occasions. New Yorkers want to be optimistic and hope for better future, even at the very last moment, they will still spend a bit. Surely less than previous years, but still, whether at home with family and/or friends or in restaurants, they want to mark the traditions of the holidays seasons. And they will. Regarding price increase, when I said earlier that I have been for quite some time and continue mostly to unearth great wines under $15, (because these are the wines that my customers and myself drink at home), I know that they are still fortunate customers that can afford very good wines reaching $30 and above. Yet, and don’t get me wrong, but over the last 18 years of my small wine career, I haven’t met many Sommeliers and professional Wine Buyers (including me) that could really afford expensive wines. Maybe in rare occasions, but otherwise, as professional wine buyers, we are mostly and tremendously lucky to taste them and buy them for our most fortunate and wealthy customers. They will surely appreciate these luxury wines & spirits in most cases, but rare amongst us, Sommeliers and everyday wine buyers and consumers, are the ones that can really afford them for our personal consumption. Bad economy doesn't seem to slow down the demand from emerging countries for luxury items. Consequently, famous estates through out the world, now mainly owned by banks, insurances, lobbyists and big corporate companies which are more into money business, don't hesitate to raise their prices. Therefore the ever increasing prices of very sought-after wines from the leading wineries are not helping the sales either, enlarging the gap between society casts and attaining unreachable ceilings for the average consumers. Take Bordeaux for example, who can afford a bottle of 1st Growth anymore? “En Primeur” sales (meaning when as a customer you can buy greatly sought-after Classified Bordeaux wines roughly 2 years before bottling and release) have nearly increased by 9-10 times in the last decade. These are irrefutable facts that can be verified anytime! “Premiere Tranche” meaning “first offer” from the Châteaux and thus Négociants, yet prices increase even more with 2nd and 3rd Tranche (if any), and even after 6 months if demands continue, and even more after bottling when the vintage is finally available in stores; then the European market and continuous fluctuating demands and availability of certain vintages dictate the prices up as the years pass…to attain astronomical heights. and up to $1800 for a bottle of 2009 Château Lafite-Rothschild. Who can afford a bottle of 1st Growth anymore? Where will these prices go for the next “exceptional vintage” or “vintage of the decade” as the formula is so often employed to characterize the better years of Bordeaux wines? How many people will continue to be able to spend this kind of money? When will they stop to pay so much for a bottle of wine? Who will denunciate abuse and greed? It seems that these questions find more and more answers every years as prices go up. At least more people write and talk about it. Yet, mentioning it is a really good thing, but it does not really change anything, because there will always be someone to buy these auctions-market-profit-making-oriented luxury wines to resell them rather than drinking them. Before some of these ultra expensive gems can slide along the inner face of a decanter or a collectible glassware, they probably will have seen numerous auction warehouses and private cellars around the world, going from Bordeaux to Paris, London, New York, San Francisco, Singapore, Honk Hong, Shanghai, Moscow, Dubaï and many more of the richest cities on earth. However, for those of you who have no intention of spending this kind of money, I would like to remind you that the most prominent, thus expensive, Châteaux of “la Place de Bordeaux” only represent a drop in the ocean of wines that are produced in the 60 different appellations that constitute Bordeaux: roughly about 350 wines including around 190 wines that constitute the Top ranking in each classification systems of Bordeaux (Haut-Médoc, Graves & Pessac-Léognan, Saint-Emilion, and Sauternes & Barsac) out of the 12,500 Château, Clos and Domaines scattered within all Bordeaux Appellations. Which means that there are still quite a lot of good value wines to be found even in the most expensive appellations of Europe and elsewhere. 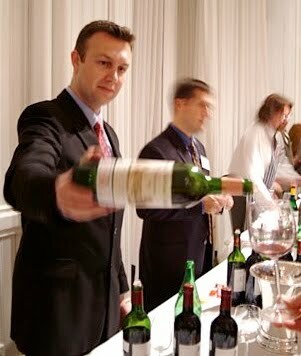 In short, whether the wine is coming from Bordeaux, Burgundy, Rhone, Napa, Sonoma, Carneros, Rioja, Ribera del Duero, Priorat, and any of the other appellations and regions within the 70 leading wine producing countries around the globe, Sommeliers and professional Wine Buyer (including me) have always try to find the best wines with the most appropriate ratio quality-price to please their customers, but also to make appropriate profits. Nowadays with this economy, profits will have to be minimized to encourage sales and generate rather continuous cash flow. Distributors, retailers and restaurants will have to fight harder against growing competitions yet to sell to fewer customers, spending less and less often. In other words, the game has changed and now consists to find the best bargains and somewhat abandon part of these luxury wines, which are so hard to sell mainly due to the bad economy, but also because of the increase of information access on the internet and raising amount of wine knowledge amongst consumers. Unlike 10-15 years ago, customers have broader knowledge of what they like to drink. They definitely know better not to necessarily spend a lot of money in heavily marketed or/and rated brands when they can find lesser-known wines as good or even better for far less money. Faster communication systems, social networks, specialized stores, wine classes and seminars, critics and magazines websites, talkative websites and specialized blogs (like www.ledomduvin.com) have all helped the average wine consumers to become more educated and experienced wine drinkers and readers. They know what they want and refer less to critics, magazines and ratings as they used to do just only a few years ago. Becoming more serious everyday wine buyers (like me), they more often refer to their taste buds and how much money they can spend, rather than blindly following magazines and critics. They know how to diversify the sources of their information to make a good judgment call and buy the most appropriated wines for their palate and wallet. Making my job so much more difficult yet so much more interesting, compelling and challenging than it was before. I was already pretty difficult and really picky regarding the wines that I bought, now I will have to be even pickier (starting today) to be able to provide better wines at more affordable prices from lesser known and consequently less distributed producers, to continue to provide more delicious out of the beaten path better value wines (and continue to avoid offering the same as everyone else, yet I know certain brands can not be avoided but overall I will always try to be different, interested and true to my palate). After 18 years in the wine business as Sommelier and 14 years as a Wine Buyer, I love my job and bad economy or not, I will continue to be the king of wines under $15 and mostly support small, artisanal producers from underrated and little-known areas, like my grand-father used to be, rather than overly marketed brands. Despite the economy and other factors influencing sales (good or bad), I continue to optimistically believe that people in general will continue to buy wines, even if at a lesser price or less often, wine (and spirits) will always remain a human race cultural habit, part of its ancestral culinary traditions and part of its happiness. As I always say, by selling wine I sell happiness, an artisanal drink that gather people, create moments and generate feelings whether with friends or/and family for any occasion, around the table or not. This morning, my son and I decided to make Pizza for the lunch. What a mess! We first tried to knead the dough, the best we could with our hands. Things would have been better if we had had a rolling pin. Once the dough was slightly unevenly covering the bottom of the rectangular pizza pan, (but hey that was our first pizza together, so it doesn't matter), my son tried to spread out the tomato base sauce. He surely ate more than putting it on the dough. While the oven was starting to reach the right temperature, we put a few tears of olive oil on the sauce, and spayed out a first layer of grated Italian cheeses, then added a thick layer of grated Mozzarella. Here again, my son, for each handful of grated cheese put on the Pizza, another handful was disappearing in his month. We then covered the layers of cheeses with as much pepperonis and mushrooms as we could, leaving a small line only with cheese just in case. Then another layer of grated Mozzarella and other cheeses with a last sprinkle of olive oil. Once satisfied by the way it looked, we put it in the oven and waited until ready to add a little touch of white truffle oil atop to add more flavors, just before serving. Although making it is quite fun, especially with my 4 years old messing around with everything, the waiting part is the part that I prefer, because that is usually when I open my wine fridge to choose a bottle of wine. I didn't know what to try, but a bottle of red Bergerac was taunting me. Nestled in Dordogne, touching the eastern part of the Gironde department and often assimilated with Bordeaux, Bergerac is a misunderstood place. Quite well known from the Britts who refurbished and repopulated the area over the last 30 years, it is a place of peace and quiet, a lost treasure grove of history, stories and legends. Some counts the adventures of the first hunters, covering the wall of underground prehistoric cave (like Lascaux), and other make knights and dark creatures reappearing in the multiple scattered hilltop medieval villages and Châteaux surrounded by impenetrable forests where time seems to have stop and remain still since the 12th century. Therefore, in my quest of always trying to introduce you to lesser known wines, regions and producers, I think that a Bergerac wine is very "à propos"! Moreover, the Bergerac that I'm about to describe today is somewhat sentimental because it is the first Bergerac that I ever tasted when I was younger (around about 14 years old, not very American I know, it is the French side of me) and then, that I first visited in my early twenties, in 1997. 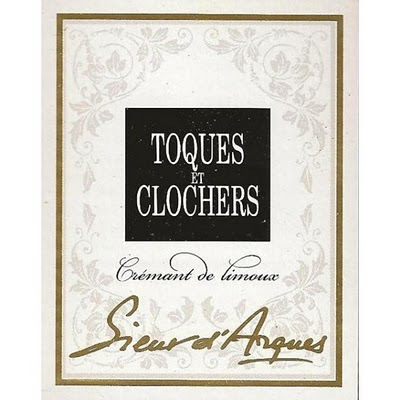 It was also one of my first Bergerac wines that I sold to my customers when I was starting my career as young waiter-Sommelier in a Relais & Chateaux restaurant in Péssac, in the outskirt of Bordeaux. This close to my heart Bergerac winery has managed to keep up with the high quality of their wines and even after all these years remains one of my favorite top Bergerac producers. Owned and run for the past 3 generations by the "De Conti" family, Château "Tour des Gendres" is the flagship of the Bergerac appellation. Known since the 12th century as the winery of "Château de Bridoire", Château “Tour des Gendres” (literally “Tower of the sons in law” in English) is located on the site of an old Gallo-Roman villa. Referenced in the “Féret” of 1903, the Domaine gets its name from its then owner, Mr. de Peyronny, who was none other than the son in law of the Marquis de Foucault Lardimalie, lord of Bridoire. Destroyed by phylloxera in the early 19th century, the vineyard now covers only one-tenth of its original surface. Originally from Italy, Vincenzo de Conti and his wife and children settled in the Southwest of France in 1925. In 1956, Primo de Conti, his son takes over the family farm with Michelle, his wife, who is raising a few horses. In the early 80's, belonging to the third generation, Jean de Conti, guided by his passion for the land and Luc de Conti, guided by his passion for horses, finally settled in Ribagnac (home of "Tour des Gendres"), a little village of Dordogne located about 12 kilometers south of Bergerac. For several years, with their wives, Carol and Martine, they carry out their projects separately. In 1986, the “de Conti” brothers find themselves in a common project. They combined their properties, associated their families and created the “SCEA de Conti”, a company regrouping the family farm, lands and vineyards. After both families took over the vineyard and the farm lands, they restructured and improved them. Then tasks were divided and remain the same til today: Jean takes care of the farm grain and Luc of winemaking and wine marketing; Carol supports the accounting and Martine, the reception at the Domaine for guests and customers. Francis, the cousin, joined the operation in 1990, adding his 20 hectares of vineyards of “St. Julien d’Eymet” to the vineyards of “Domaine des Gendres” and of “Grand Caillou”. He took over the culture of the vine within the 3 Domaines now encompassing 52 hectares of vineyards. 2005 – first 100% Muscadelle à petits grains Since the beginning of the conversion to organic farming in 1994, de Conti family has been witnessing significant Nature changes in the vineyards and their immediate surroundings. The physico-chemical equilibrium of the earth, the exploitation of all layers of the soils and sub-soils, and the strength of the vines have naturally altered the taste of the wines: the alcohol level has lowered, the natural acidity has increased, the mineral character of the soil is more assertive on the red and white wines, tannins are riper and soft and the flavors are typical of their plot of origin. The persistence of these features perfect the style of the wines, these are qualities appreciated by wine lovers and easily recognizable during tasting. Nature’s advocate and being raised as the grandson of a winemaker in a natural agricultural environment for the first 24 years of my life, I have always been very supportive of Organic, Biodynamic and other natural vinification processes and techniques. Many times, I wrote my views and opinions about them in some other posts. The herbicides destroy life in the soil; but constant periodic tillage under each vine aerates and purifies the earth. Chemical fertilizers trivialize the soil; but natural compost promotes the natural life of the sub-soil and reveals the character of the Terroir. Chemical treatments weaken the vine; but treatments using natural products strengthen it against diseases. Planting plants with deep root penetration - as the oats & phacelia - promotes aeration and the life of sub-soils. Deeply rooted, the vines can easily manage and benefit of the cool and moisture of the sub-soil and mineralization of the bedrock, which is indispensable especially with the rise of temperatures, more signs of global warming and climatic changes with sudden heat waves across Europe, like in 2003 and 2005. Promoting biodiversity in the sub-soils acts on biodiversity at the soil surface and reveals the character of the Terroir: insects, earthworms, rodents and birds live in the vineyard; they graze, touch and land on the berries and deposit Natural yeasts, the true signature of the Terroir, which irrefutably will reflect in the produced wines. Tour des Gendres “Le Classique” Bergerac Rouge wine is a benchmark for Bergerac appellation. A well-structured, enjoyable and versatile red to enjoy at any occasion, preferably with local food from the Perigord. It represents the outstanding result of the work of talented winegrowers and an exceptional winemaker: Luc de Conti, often referred as “the Prince of Bergerac”. Considered as one of the best winemakers in France, Luc, his brother Jean and his cousin Francis, as well as their respective families, run this innovative Bergerac estate with upmost respect for the terroir and to the balance of the ecosystem. 2007 Tour des Gendres “Le Classique” Bergerac Rouge is a blend of 70% Malbec and 30% Merlot from south exposed vines planted on clayish soils resting on calcareous-limestone bedrock. After full destemming, the grapes were pressed then underwent a long fermentation of about 30 days immediately followed by the malolactic fermentation, both in stainless steel tanks and Bordeaux size oak barrels. The ageing process also occurred in both stainless steel tanks and oak barrels, with the wine resting on its lees to add richness, roundness, complexity and depth. It was finally bottled without fining or filtration to maximize and emphasize its lush, earthy, Terroir oriented profile. 2007 Tour des Gendres “Le Classique” Bergerac Rouge offers a dark ruby color; quite intense and opaque with just few, light ruby reflects near the rim. The nose is clean, somewhat delicate and discreet, yet definitely refine with aromas of ripe dark berries and dark fruit, light touch of eucalyptus, mint, spice, mineral, earth and smoke intermingled with profound and well integrated dark bitter chocolate and toasted oak nuances. The focus and dark palate is lush, rich and soft with well-balanced ripe dark juicy fruit flavors framed by a solid and present yet extremely well integrated, earthy tannic structure and enhancing acidity. The generous mid-palate is expanding with the same yet more expressive notes as in the nose. The textured finish is lingering and call for another glass. This gorgeous Bergerac wine is as dark and appetizing as the black truffles (Tuber melanosporum), which grow exclusively within the oak roots and abound in the forest of the Périgord, enhancing further the already rich and flavorful local traditional food often prepared with Duck, Goose, Game, Venison, Wild Boar and Rabbit. FYI: Périgord, which by the way gave its name to the eponymous truffles, is a former province of France, which corresponds roughly to the current Dordogne département (county), now forming the northern part of the Aquitaine region, in the southwest of France.